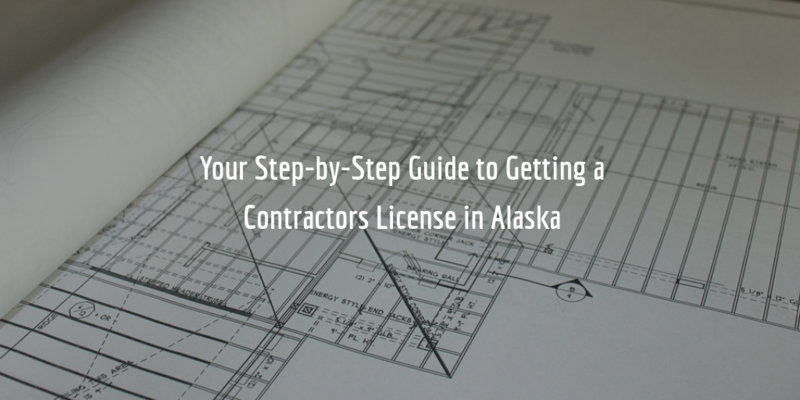 To work as a contractor in Alaska, you must apply for a license from the Department of Commerce, Community, and Economic Development. A license is required from anyone who wants to work as a contractor in the state – whether as a general, specialty, or mechanical contractor. The licensing process for contractors in the state involves several steps. These may include registering your business, passing a pre-licensing course as well as submitting a contractors license bond. Keep reading to get a comprehensive breakdown of all the steps you need to take to get a contractors license! General contractors – these contractors perform new home construction, commercial work, and residential remodel work. If they perform new home construction or residential work over 25% of the value of the structure, they need to obtain a residential contractor endorsement on top of their license. If they perform commercial or residential remodel work valued under $10,000, they are issued a general contractors handyman license. Specialty contractors – these contractors can perform work that does not require the use of more than three trades. Any work that involves more than three trades requires that a contractor obtain a general contractor license instead. 12 Alaska Administrative Code (AAC) 21.200, specifies the approved list of specialty trades in the state. You can also choose “other specialty” during your application process, but will need to provide a detailed description thereof. Mechanical contractors – to obtain this license you will need to employ a licensed mechanical administrator. You will also be able to only perform those mechanical disciplines for which you have an administrator assigned. The licensing process for all three license types is basically the same. Prior to applying for your license, you will also need to get a business registration. Here are the steps you need to follow to register your business and get a license. You can license your business online at the website of the Department. Filing for a business license will require you to provide basic business information, a North American Industry Classification System (NAICS) code, as well as pay a $50 filing fee for a one-year license. Note that you can license your business at any point prior to applying for your contractors license. Begin by completing the Construction Contractor Application Packet. If, as a general contractor, you also plan on exclusively performing residential work, then you will also need to apply for a residential endorsement. If you will be applying for an endorsement, you will be required to pass a 16-hour course, and pass an exam. You can find more information on the course and the exam in the application endorsement application packet. It takes about 15 working days for a license application to be processed. If all documents are in order, you can expect your license to be issued. If not, it will be returned for correction. Licenses are issued for two-year periods. The cost of your bond is determined by the surety when you apply to get bonded. Your personal credit score is the most important factor that influences the cost of your bond. The higher your score – the lower your cost is likely to be. You can get an estimate of the cost of your bond through our bond cost calculator below! Why do contractors require a bond? Contractors in Alaska are required to obtain a surety bond as a guarantee that they will comply with Chapter 18 of the Alaska Statutes, and in particular AS 08.18.071. In other words, the bond serves as a guarantee and protection to the state and the public. Get a Free Bond Quote! Want to know how much exactly your bond will cost? Get a free bond quote by completing our bond form, and we’ll get in touch with you soon!